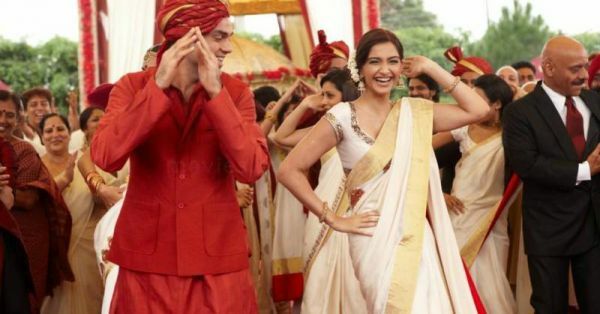 7 Fab Tips To Help You Walk & Dance Like A Pro In Your Saree! A saree looks beautiful when worn, no doubt. But it does come with its own obstacles and hurdles, especially if you’re wearing a saree for the first time. From walking comfortably to washroom visits to dancing, nothing seems easy when you’re wearing a saree. But don’t worry, you’ll get past these tiny inconveniences by just following these easy tips. 1. Choose The Cut Of The Petticoat Wisely! From panelled to A-line or side gathered petticoats, there are a lot of different variations of petticoats available these days. But when you’re already a bit nervous about tripping in a tightly draped saree, pick the one that has gathers on the side inserts. It gives you the right kind of space and holds your saree in place. 2. Wear Your Heels Before You Drape The Saree! Do pick slightly heeled sandals as they add some grace to your walk and correct your posture. Now wear them while you’ve got your blouse and petticoat on and tie your saree accordingly. When you drape your saree with your heels on, the length will be just right - neither too short not too long. This saves you from making adjustments later which might be pretty time consuming. 3. Make Sure The Fabric Of The Petticoat Is Soothing & Comfy! When you pick a petticoat made out of satin or polyester, it will invariably end up sticking to your skin, which might add to your troubles of trying to walk in your saree. In case you absolutely cannot switch the fabric, especially in net sarees, where the petticoat is visible, then rub some talcum powder on your legs to stop the fabric from sticking! 4. Safety Pins For Extra Security! Girls, use these prime weapons carefully to set things in place. Use one pin to keep the pleats together and one pin after you’ve tucked in the pleats to keep them from shifting or falling out. Use another pin right behind the pallu, fastening the saree to the blouse. Trust us, this is all you need. Your saree will not move an inch even if you go to the washroom! 5. Make Sure You Pleat It Right! So, the trick here is leave some part of the saree hanging while you take your pallu, then make sure the first pleat is tucked in slightly deeper compared to the rest. After making those pleats, take help from somebody to see that no pleat has slipped out below to make sure you don’t trip over it later. Once your pleats are rightly done, you can dance carefree! 6. Pleat And Tuck The Pallu At Your Shoulder! If you don’t want to keep both your hands occupied, then make sure you drape your saree with front pleats at the shoulders. This way you are all tucked in and this is how a ready-made saree actually looks. All fixed and no chance of it moving around too much. Also, this is one of the most curve defining tricks too, depending on how you like to flaunt it as per your figure. 7. Lastly, Drape It Like A Goddess! Make sure not to drape the saree too tight or too loose. If the saree is draped too tightly, it’ll lock your knees and make it even more tough for you to walk around in it. And if the saree is tied too loose, it’ll keep shifting from its place and there might be chances of a wardrobe malfunction. We’ve warned you! After you’ve draped it, move around to see if you’re comfortable, otherwise re-do it! GIFs: Tumblr, Giphy HAVE A STORY IDEA FOR POPxo? If you want to hear about it, we can write about it! Just tell us your idea here! MUST-READ : 6 New Ways To Drape A Sari – Easier Than What Moms Teach Us! MUST-READ : How To Pick The BEST Sari Blouse For Your Figure!